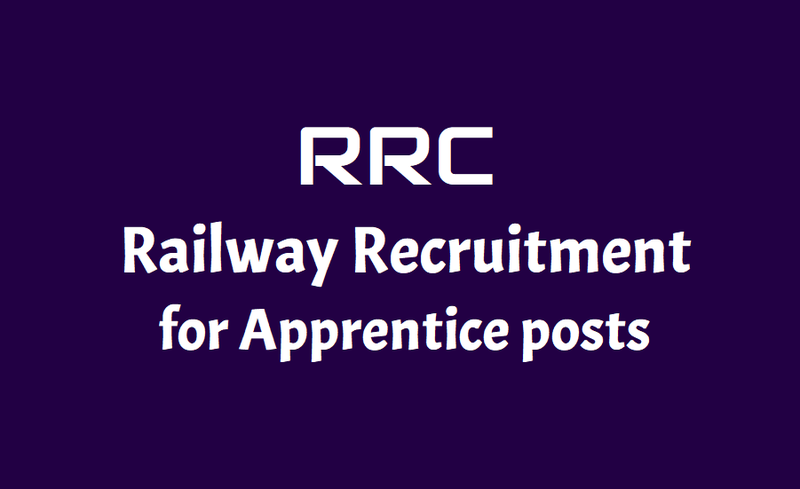 Railway Recruitment 2018: Western Railway hiring 3553 Apprentice Posts via rrc-wr.com: Western Railway(WR) has invited applications for apprentice posts. A total of 3553 posts will be filled up through this recruitment drive. Western Railway(WR) has invited applications for apprentice posts. A total of 3553 posts will be filled up through this recruitment drive. Candidates can apply for the post till January 09, 2019 through the official site of Western Railway at rrc-wr.com. Check more details below. Candidates should have passed class 10 or matriculate in 10+2 examination system with minimum 50% marks in aggregate from recognized Board. ITI certificate affiliated to NCVT/SCVT is compulsory in relevant trade. The Applicants should have completed 15 years of age and should not have completed 24 years of age. Western Railway Apprentice Posts : Applicants can submit their applications ONLINE only on RRC’s website rrc-wr.com. The candidature of the Applicants will be considered only on the basis of the information filled in the ONLINE application. Document Verification and Medical Examination will be held in the concerned Divisions & Workshops. The application fees for the post is Rs 100/- which is non refundable. Candidates can check the official notification to get details. Candidates who have completed their matriculation (Class 10) with minimum 50 percent marks and have the requisite ITI certificate (or equivalent or National Apprenticeship Certificate (NAC) granted by NCVT/SCVT), can apply for the trade. Check the details of the vacancies and the trades/ workshops notified for. Age limit for the jobs is minimum 15 years. Candidates interested are advised to go through the detailed notification to understand the process and the eligibility criteria. The online applications can be made on the official website rrcjaipur.in by 5 pm on December 30, 2018.